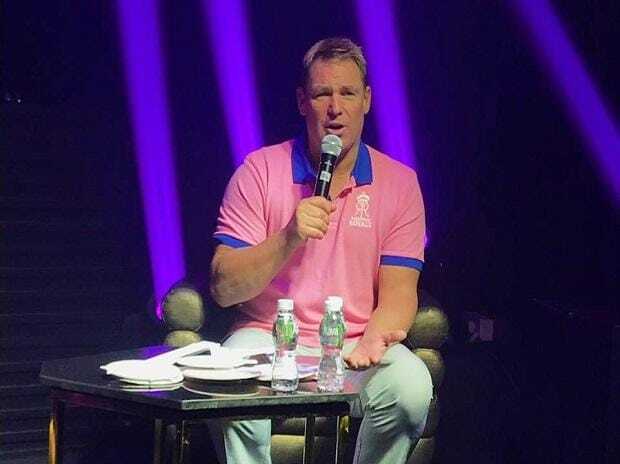 Australia spin legend Shane Warne was on Sunday named as the brand ambassador of Rajasthan Royals for the upcoming Indian Premier League (IPL 2019). Besides, Rajasthan Royals has also decided to change its jersey colour from blue to pink this year. "Jaipur is known as the pink city, Jodhpur is famous for pink sandstone and Udaipur produces pink marble. Pink, therefore, is best suited as the official colour of Rajasthan Royals, which will also help the fans identify and celebrate their team," the franchise said in a statement. Rajasthan Royals lead owner Manoj Badale added: "This is an exciting change for us and comes as a response to the fantastic reaction from the fans to our training kit and Cancer Out jersey last year, as well as of course Jaipur being the Pink city.